Currently crediting the admin fee back if you sign within 48 hrs after touring! 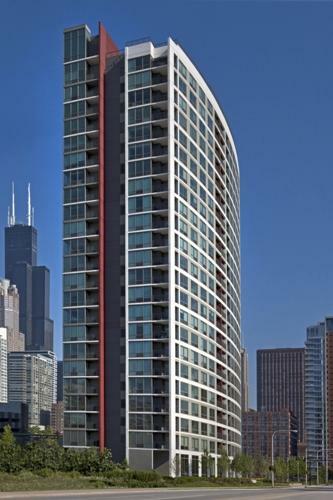 AMLI 900 is a new construction (2008), full-amenity rental apartment building in Printers Row. Social/friendly neighbors. Great internet/Wi-Fi connectivity. Responsive and accommodating building management. Views from the rooftop deck. Residents believe that the surrounding neighborhood is commercial and lacks charm. It's been alright- there are occasional hiccups here and there, but overall the amenities are good, the staff responsive, and the door men amicable. Alright, but not worth the steep price. Maintenance is amazing. Almost too good. Good except for a few hiccups. They give no wiggle room with rent, despite on-time payment and not causing any problems. They do throw community events, some better than others. Love Printer's Row. Very walkable (Target, Jewel, Whole Foods, Mariano's, Best Buy, Home Depot, etc) all within a half mile, but could use better restaurants. Apartments are spacious and the views can be amazing. The quality of the actual appliances and fixtures is not top-notch, but totally fine. Surrounding neighborhood lacks charm (at least in 2010-2012) and for that reason I have some regret that I lived there.